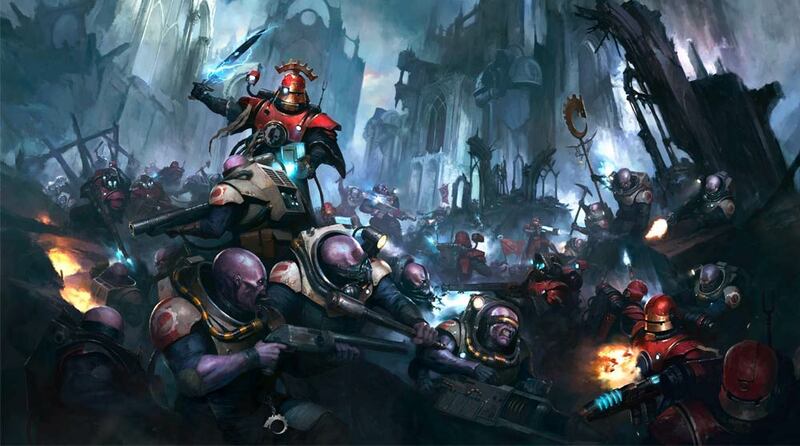 One rule I’d love to see ported from Kill Team to 40k is the Obscured rule – but would it work in a mass combat game or should it stay in the squad level version of 40k? Kill Team is out and in stores this weekend. We’ve been talking about it and we’ve gotten some game time with the ruleset, too. It’s pretty much 40k with some overhauls to the activation system. It’s not better or worse – it is different and certainly changes up how the game can unfold. We like it due to it’s low model count and easy of getting started. Plus the terrain is too cool not to use. As we were playing around with the game those rules differences did pop-up and time and again we asked ourselves – “Gee, this rule works really well, why isn’t this in 40k already? !” For some rules, we couldn’t quite agree on if they would be good for the game. Others had us really thinking “yes, this needs to come over.” One of those rules was Obscured – which is basically a rework of the cover rule. It reads pretty much like cover, right? 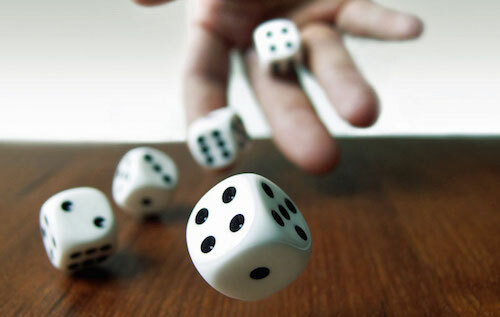 But in game it has a different in game impact – it reduces the attacker’s To-Hit roll by -1. There are other steps, those are the basics. But the point is by making the penalty apply to the “To Hit” Step vs the “Roll Saves” step (which is where Cover applies it’s benefit currently) it’s made the odds of getting to the “Roll Saves” step less likely. Think about it this wa:, 10 Shots that hit on 4s vs 3s are going to generate let wound rolls and less save rolls. You with me? Okay. Kill Team is also build around To Hit modifiers in the game. There are extra modifiers for long range, flesh wounds and being shaken. But no matter how many negative modifiers you have, a 6 always hits. I think that’s a big difference in Kill Team – they use the “natural 6” rule to override a lot of those penalties. So Does Obscured Work For 40k? Yes and No. It works because it’s a very simple rule – is the model in the open and 100% visible to the attacker? Yes? Then no modifier. No? Then apply a -1. Simple. But it doesn’t work perfectly in 40k because it’s unit-to-unit attacking and not model-to-model. However, Cover currently has the same “problem” and that works just fine, right? Depends on if you like to argue with your opponent about cover saves I suppose. Personally, I’ve never found the Cover rules to make perfect sense. The better the AP of the weapon, the less it matters anyhow. Obscured makes sense to me because it’s harder to hit the target when you can’t see it. But maybe that’s just me. 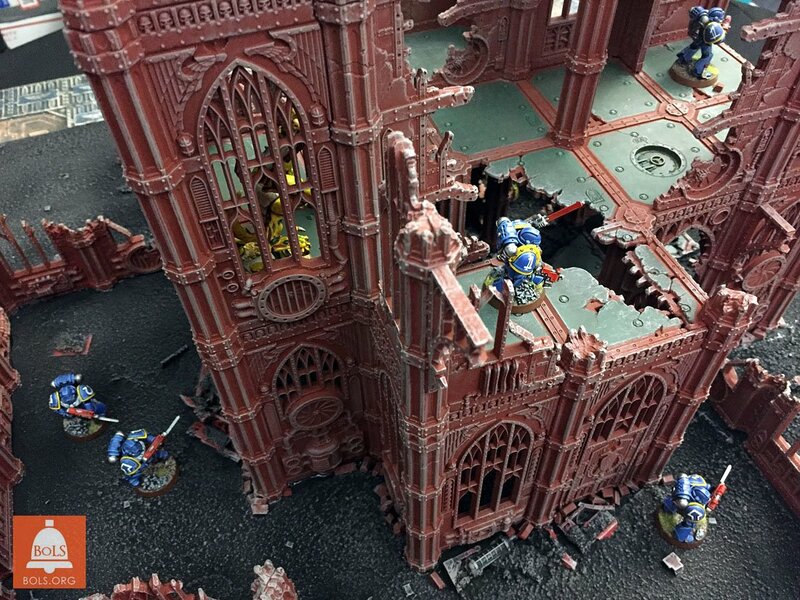 Whatever the case, if Obscured does make the jump from Kill Team to 40k, that would mean the core rules would need a rework. GW has done it before and they don’t seem opposed to it. Cover Save? Maybe. Obscured? Definitely. 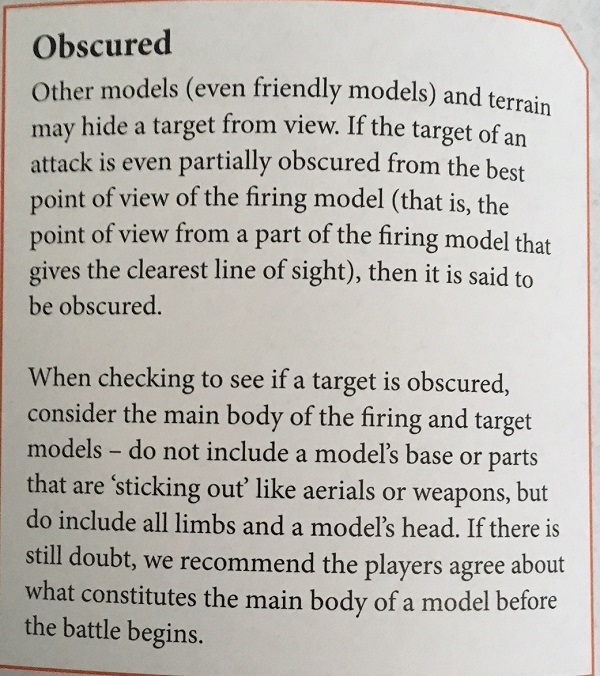 Obscured seems like a rule that could come over to 40k from Kill Team. But if it does, then the designers would have to make some other changes to the game. I think it could have some other benefits (like curbing the Alpha-Strike) and I think it seriously needs to be considered. But maybe it already has and Kill Team is just the test bed for GW to try it out before it comes over. What do you think? Should Obscured be brought over? What about the other Hit Mods? Should that change the way cover works? Are there other rules you want to see brought over like Alternating Activations? Let us know what you think by hitting the Load Comments tab below!